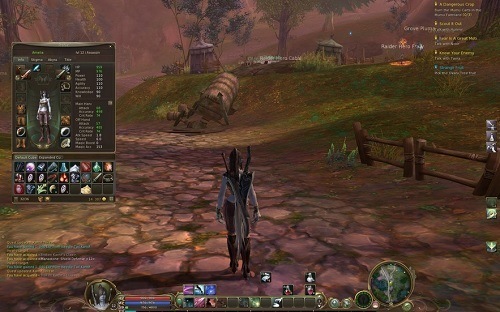 Aion is one of the growing number of subscription based MMO games that have gone free to play in recent years. So if you originally considered getting into Aion but the price turned you away now is a great time to get into this highly polished experience. Aion lets you play as one of two warring races, either the Asmodians or the Elyos. A third race is also present in the game which is enemy to both playable races (Balaur) but is not playable and simply used to create conflict in the game world. Beyond your race choice players can choose one of four standard base classes which can then further specialise. Combat of Aion promises to be a very engaging and realistic experience by letting players control the flow of combat with combo skills and movement control. By moving towards your opponent, retreating or side stepping while in combat with them you can boost particular stats. While players are moving forward they are given a bonus to damage at the cost of defences while stepping back dramatically boosts block potential but reduces your damage output. Alternatively, strafing can be used to boost evasion with a similar reduction in physical damage. One of the more enjoyable game aspects is the ability to fly around the game world and is unlocked at level 10. At first your flight area and time will be severely restricted but with further levels and better equipment you can stay in the air for longer periods which helps cut down on travel time. 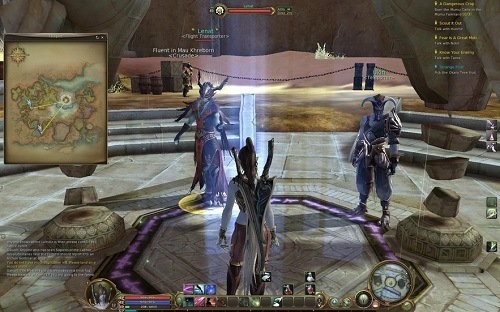 Aion isn’t short on other features either with literally thousands of story based quests, lots of PvP to experience, guilds to join, pets and a crafting system at the centre of the game’s economy. Great graphics everywhere you look. Thousands of quests to keep you busy. Fly around the game world.